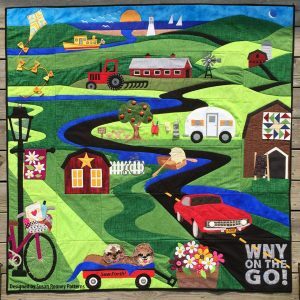 Delightful Quilting - Start your "delightful" quilting journey today!Delightful Quilting | Start your "delightful" quilting journey today! If you think back ten or more years, we weren’t very social. Yes, we had email, but that was about it. Facebook was an infant, there was no Snap chat, no Pinterest, no YouTube, no Instagram, and what about Yahoo groups and texting? How did we get along? With these “advances” in technology we are able to communicate almost instantly. 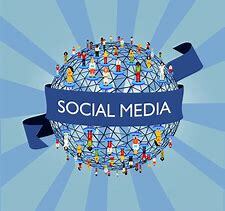 If we want to know something, we can easily Google on the internet, or post a question on a Yahoo or Facebook group. Almost everyone has an opinion. It is great to get feedback, pats on he back for our awesome posts, and find answers. But, is everything out in cyber space reliable? And, what about the time? How much time is “social” stealing from us every day. How much time is texting our friends with meaningless and random thoughts taking from our life? Would we spend that much time talking on a land line phone every day? 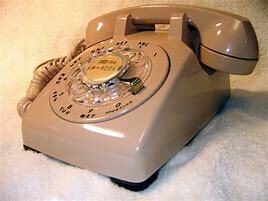 I come from a generation of rotary phones. In fact, my grandparents didn’t even have a phone, or even electricity for many years. Yes, they were progressive and did get those as soon as they were available in the country, about 1938. They farmed and when electric became available, it was a wonderful day when they could milk the cows with a milking machine and not by hand any more. Rotary phone of the 1960’s. Crank phone of the 1950’s. phone line was a party line with four other homes on the same line. You had to pick up the phone carefully to see if anyone else was talking before cranking the phone to call the operator. Yes, that also meant you could listen to someone else’s conversation. So, word to the wise, be careful what you said on the phone as the neighborhood gossip might be listening. Today we have instant communication with our cell phones and texts and access to all kinds of information without going to the library, looking through a card catalog, and searching the stacks. Today’s technology all comes with a price. If we aren’t careful, it can steal our time, a lot of time. 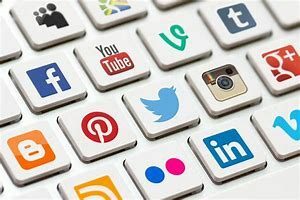 And, the privacy we once enjoyed in our lives we no longer seem to covet as we post everything from our adventures, brushing our teeth, and family gatherings to what’s for dinner on Facebook and other social media. One of the most challenging things with such easy access to information is sorting fact from fiction, weeding out bad advice from good advice. Everything posted on social media, YouTube, Yahoo, and found in Google searches is not he best information. In fact, there may be a lot of misinformation. 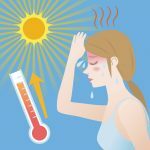 From medical information to fixing the refrigerator, or solving a longarm quilting problem, there is good information and there is bad information. Who placed the post? Are they an expert in the field or respected author on the subject? What is their background, education, or training relating to the information. Can the information be substantiated in other posts or other websites? Does the information violate well documented principles, standard accepted practices, or break the law? Will the information be a compromise that might not even work? Does it sound logical, practical, or seem odd, outlandish, or ridiculous? As a Nolting longarm dealer that has been factory trained, dealer for two computer guided systems, and an author of a book for longarm guilting with Nolting machines, “Guide to Quilting with Your Nolting,” I am amazed at the poor, but well intentioned, suggestions relating to longarm quilting offered on social media channels. Just because some weird thing happened to “solve” a problem doesn’t mean it is the correct solution. Believe me, I have heard of some very interesting solutions, even using water bottles to take care of fullness on a loaded quilt. Rarely do these suggestions address the root cause of the problem. There are better solutions and solving or addressing the root issue is always the best. Whether seeking info from a friend, YouTube, Yahoo group, Facebook, or any other social media source, sift the information well. Make sure it comes from a reliable source, one that has both experience and knowledge, and that it addresses the root problem and isn’t a bandage. Have you ever jumped to a conclusion only to later, sometimes much later, discover your conclusion was very wrong? Years ago I learned a valuable lesson relating to this that I have tried to apply in most situations, but recently forgetting to be careful in jumping to conclusion I spent needless time and effort going in the wrong direction. 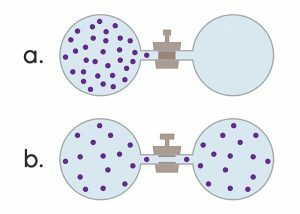 Years ago early in the year of my first year of teaching 7th grade science, I had a boy who was constantly causing an undercurrent of a disruption in class by leaning over to talk with first one neighbor, then another and another. This happened nearly every day in spite of my warnings. Finally I had enough of it and sternly told him to see me after class. By the time the class ended he was in tears. Trying to understand why he didn’t comply with my “no talking in class” rule, through tears he told me he was only trying to find out what I had written on the board. He simply could not see the board clearly and was trying to keep up with the class notes. At this point I felt terrible for him. I had pegged him as a trouble maker, but he was only trying to keep up. Immediately he was assigned to a front row seat. I contacted the school nurse to perform an eye test, and I also called his mother to let her know what had happened and that he probably would need a professional eye exam. I was sure his situation and behavior in other classes was probably the same. About a week later he showed up with glasses and he became a very good student. What a lesson for a new teacher to learn about never assuming what you think based on appearances, but to get to the root cause so that there could be a positive outcome. This past summer was hot and humid. Had I been more diligent in trouble shooting these issue, I could have spent more time enjoying my sewing and quilting instead of being frustrated. Star blocks made from Alaskan theme fabric. Because of the heat, I set up my travel sewing machine in our air conditioned first floor. For a couple of hours on several days I happily stitched patches together making sub-units for star blocks. At first the stitching was OK, but then seemed to erode. The machine just didn’t seem to work as well. The patches were getting caught under the presser foot, sometimes being pushed down in the needle hole. It couldn’t be the humidity, that was taken care of by the AC unit. I thought it must be the machine. It is not an expensive machine, just one for travel. I began thinking that I had made a poor purchase decision and because it wasn’t a top of the line machine, it was failing already and wasn’t going to last. One afternoon after discovering a LOT of lint impacted in the feed dogs of my very nice machine, I decided to clean it. I also discovered lint below and behind the hook and in bobbin area. 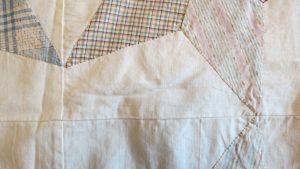 Working with cotton fabric, cotton thread, and quilts is a linty job. I cleaned, oiled, and replaced the needle. Since I was cleaning that one, I decided to take a look at my travel machine. Very little lint, but I cleaned anyway, oiled where needed, and replaced the needle. The next day when I worked on the star block sub-units using the travel machine, I was totally surprised. The machine stitched beautifully. You would think I would have thought to change the needle at the first sign of stitching problems, but I didn’t. Yes, such a simple thing as a new, sharp needle made all the difference. A good lesson refreshed in my mind. Next time at the first sign of stitching problems, I will be changing the needle first. As a Nolting longarm dealer, both my husband and I are factory trained to make some repairs on Nolting Longarm machines, as well as make adjustments, such as timing the machine. Awhile back I began having trouble with the screw that holds the needle in the longarm and discovered that the threads in the needle bar had gotten stripped. After talking with Nolting tech, we decided to replace the needle bar. This is not difficult to do. The needle plate comes off and the hook assembly is removed so that the old needle bar can be removed pulling it down and out through the open space in the throat of the machine. Replacing he needle bar is the opposite procedure with timing the machine the final step. When replacing the throat plate we noticed a little needle prick and smoothed that off, too. I have timed many machines over the years. Once you get the feel for it, it isn’t difficult. Damaged throat plates – pricks and burrs from needle flex. This day it did not go as well. Every time I tried stitching after adjusting the timing, the thread would break. Several times I adjusted with the same results. Finally my husband suggested replacing the throat plate with a new one. Yes, something I should have through of right away, but didn’t. Guess what? It stitched perfectly. My timing was perfect and not causing the thread breakage. Someplace in the needle hole of the throat place there was a sharp spot or burr that was catching the thread and causing it to break. Again, a fresh reminder to me that it isn’t always what it seems to be. Take a good look at the problem. Think about the possible causes. Don’t jump to a conclusion. Check out each of the possibilities starting with the most likely and easiest to fix, like changing the needle or replacing the throat plate. If the easiest fix doesn’t work, move on to the next possibility in the list until the solution is found. Having an organized system for looking at a problem and checking out each possibility systematically can save time and long hours of frustration. Because these situations are frustrating anyway and taking us away from what we want to do, we must step back, clear our thoughts, and look at the issue with fresh “eyes” and use systematic problem solving techniques. For help trouble shooting longarm problems, “Guide to Quilting with Your Nolting” is available for Nolting longarm owners and may be an excellent resource for other longarm brands. The book includes a trouble shooting chart with possible solutions and references pages in the books for help. Certainly computer guided quilting (robotic quilting) is a long way from hand quilting, but is it cheating? Even in the years since I started quilting a lot has changed, and certainly in the years since when my Grandmother quilted. 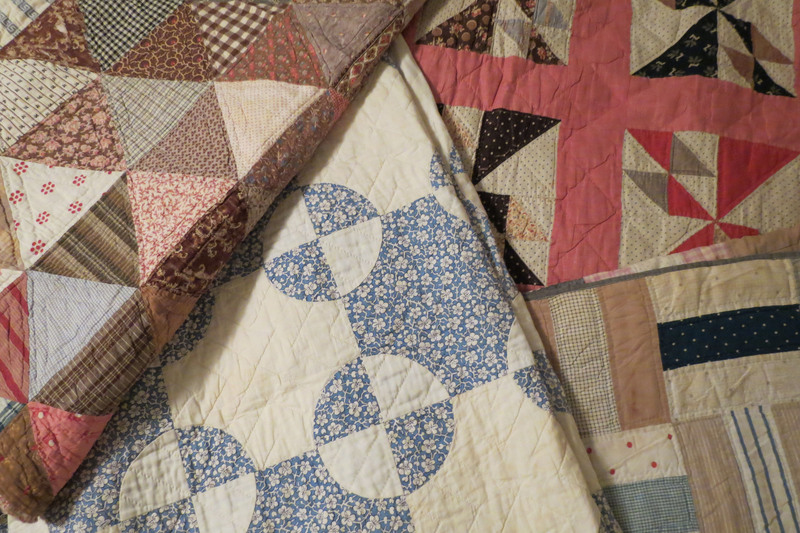 The antique quilts I own that go back to the late 1800’s were hand pieced and hand quilted. The binding on one, however, was put on with machine stitching. As women in the 1900’s began using their sewing machines for everything, piecing by machine became common, however, quilts were either tied or hand quilted. I have a lovely old baby quilt from the 1930’s like this. The longarm machine as we know it today was developed by Fred Nolting in the 1980’s. Displaying his longarm at the Houston Quilt Show, he soon realized that many felt it wasn’t “quilted” unless quilted by hand. Never the less, Fred was encouraged to go forward with longarm development. When longarm machines were available, the original Gammill machines were actually made by Fred Nolting. After Gammill decided to go on his own, Fred Nolting continued to manufacture under the Nolting brand. Besides being the original longarm, Nolting was the first to offer stitch regulation. Since those days, of course, machine quilting, either on a home machine or a longarm, has become a perfectly acceptable method of quilting. Nolting’s newly released NV model with touch screen tablet operation. Fast forward into the 21st century and we are seeing mostly machine quilting, home machine, hand guided longarm, or computer guided quilting with very little hand quilting. Some feel that computer guided quilting is cheating, that all you have to do is program a pattern and press “start.” They feel it is unfair to compare hand guided quilting, which requires dexterity and skill, to precision computer guided quilting. I once felt this way, too, but no longer. My quilting journey began with hand quilting, then machine quilting on my home machine, then longarm quilting on my Nolting Longarm. I was one of those who felt computer guided quilting was cheating and it was unfair to compare my hand guided quilting to something done with a computer system. Several years ago, because I am a Nolting Longarm dealer and Nolting releasing a computer guided quilting system, I felt obligated to know how Quiltmagine (Nolting’s computer guided system) worked. After all, how could I represent a product I knew nothing about. After installing Quiltmagine on my Nolting machine, I learning how to use it, and have since done an about face on what I thought about computer guided quilting. Yes, computer guided quilting is precision quilting. Yes, you can stitch beautiful blocks and pantos. It is interesting because with home machine quilting, hand guided longarm quilting, and computer guided quilting, beautiful quilting depends on the very same thing, pattern or design selection and execution. It doesn’t matter which quilting method is used, as in all methods, home machine, hand guided, and computer guided, poor pattern or design choices and poorly executed placement and stitching can ruin an otherwise nice quilt. The bottom line is the skill. 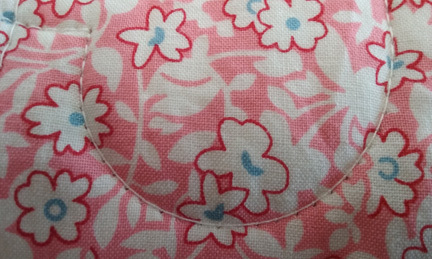 It takes skill, regardless of the method to tastefully choose patterns and to stitch them neatly in the spaces. So, can you just pick a pattern on the computer (tablet) and press “start?” NO. In my adventure learning how to use Quiltmagine, I learned about placement methods, fill methods, and how to alter the pattern, design, or panto to make it look best in the space. I had to use all of the same skills I used with hand guided quilting (pattern or design choice and execution), but with the additional challenge of working with a computer program and making it do what I envisioned. Sometimes that was possible, and sometimes, because the software just can’t do it, it wasn’t possible. Easy block placement with Quiltmagine. What I have learned about computer guided quilting since those early attempts is that a lot is possible, you need to think like the computer thinks at times, and, if you are up to the challenge, you can go way beyond simple. I often will quilt patterns and designs that are complex or dense, something I would find difficult, if not impossible to do with hand guided longarm quilting. I have learned that it is often faster to hand guide some things, like background fills, rather than use computer guided which requires more setup. I have learned to step out of the of the quilting “box,” too. Taking a cue from the modern quilting divas, I have learned to not just think of placing patterns in blocks, but to create whole designs in spaces. Whatever you can dream up and quilt with hand guided is probably possible with computer guided. 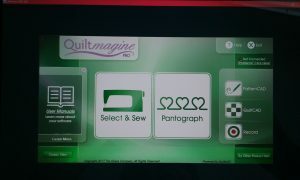 About two years ago my business, Delightful Quilting & Sewing, was asked to become a dealer for IntelliQuilter, a well known computer guided system that works with most major longarm brands and models. Computer guided systems are not all the same and have a wide range of price points and features. You basically get what you pay for. If you want to do the fancy stuff, you must pay more. IntelliQuilter costs more than some of the other systems, but it can also do more. 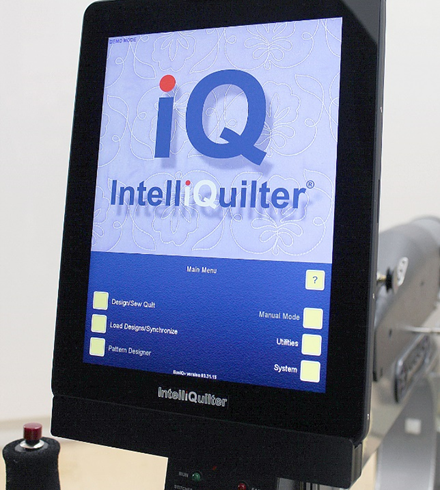 Since becoming an IQ dealer, my computer guided quilting skills have soared even more because IQ can do more, especially with custom quilting. The bottom line is this. I love quilting, I enjoyed hand guided quilting and continue to grow those skills, but I love computer guided longarm quilting. I love the options open to do more, much more than I would have dreamed of doing with hand guided longarm quilting. And, I love the challenge that comes with working with a computer, that of making it do what I want it to do. Is computer guided longarm quilting hard to do? No. But it does take time to learn, just like any skill takes time. Is there a learning curve? Yes. When we sell either Quiltmagine or IntelliQuilter, we train and teach our customers in the fundamentals of computer guided quilting, how to place blocks, pantos, how to work with their particular system to get the best results, and so much more. There are even more online helps through video tutorials. Is computer guided longarm quilting cheating? For me, that answer is NO. Is computer guided longarm quilting fun and rewarding? YES, YES, YES!!! More on computer guided longarm quilting. One of the joys and satisfaction of longarm quilting is in seeing the end result, a beautifully quilted quilt. Regardless of the amount of quilting, or the complexity of the quilting, the quilting is like frosting on a cake. It adds the final touch. 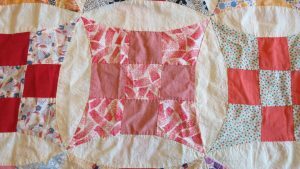 The quilting adds definition to the quilt piecing or creates a whole top design, adds texture and interest to take the quilt top from a piece of fabric to a composition where the piecing and quilting work together complimenting each other. And, as much as there is to learn to become an excellent quilter, the quilting is not the biggest learning curve. Having worked with new quilters for a number of years teaching them the fundamentals of hand guided quilting, I can say with assurance that almost anyone can become confident with hand guided quilting. Some have more creativity, savvy, and desire to push their hand guided skills than others who prefer to stick with pantos. That being said, I would point out that starting with pantos does help the quilter develop muscle memory for the fundamental quilting “moves.” It is a great way for new longarm quilters to become confident in operating their machine, developing muscle memory, and ending up with a nicely quilted quilt. By far, however, the biggest learning curve for longarm quilters is becoming comfortable adjusting the tension. 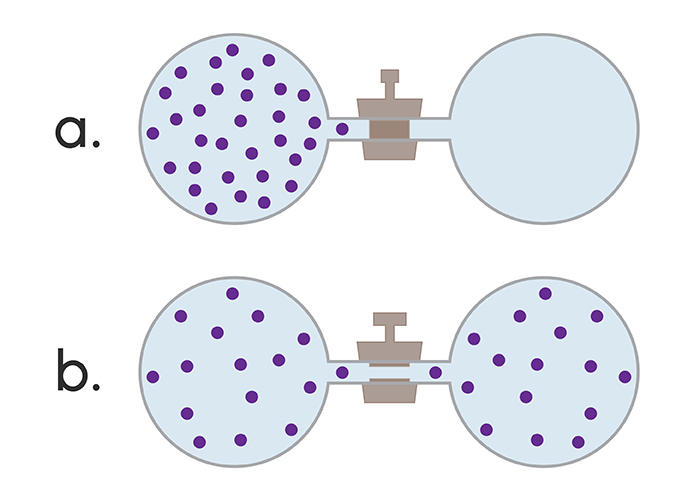 Poor tension can be problematic. Even more, hesitation to touch the tension dial and lack of knowledge on what to look for when adjusting tension is a bigger problem. That is why, as a Nolting longarm dealer, I spend time working with my new Nolting owners on tension. When they come for their free class, I have them bring something they recently quilted so I can see how the tension is and work on that, if needed. When I receive calls for help from Quiltmagine or IQ computer guided system owners, very often tension is also an issue. I even have quilters stop at my booth at shows with tension questions. There is no magic solution, wish there was, but there are principles on balanced tension to know and techniques that will work. And sometimes tension problems can’t be solved by adjusting the tension dial but are the result of other machine or frame issues. It is a learning curve, but one that must be mastered to achieve excellent quilting results. How shows look at tension. I attended MQX New England in Manchester, New Hampshire a few weeks ago. I went as a participant, not a vendor, which was a real treat. 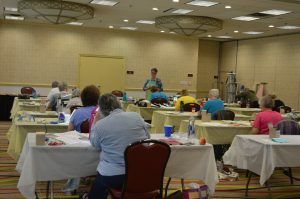 One of the “classes” I signed up for was “Why Quilts Win, a Private Winning Quilts Tour with Kathy Beltz.” Kathy is a quilt judge, but did not judge at MQX. She, however, was in the judging room during the three days of judging. I found her tour of the show’s winning quilts very informative and extremely interesting. MQX is a juried show, every quilt is judged on a numerical scale of twelve criteria, each worth a total of 10 points. Ribbons and prizes are awarded based on the score. The judges work together on each quilt during the judging process. Walking tour of winning quilts by Kathie Beltz, a Studio 180 instructor, teacher and judge. It was very interesting to learn more about the judging process and criteria used for judging. It is a 120 point score. Kathy began our walking tour by telling us what the twelve judging criteria for MQX are. 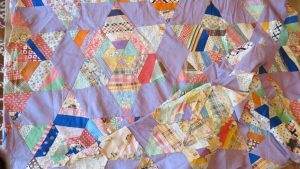 Besides those you would think that included composition, use of color, and other things relating to the visual impact of the quilt, binding is a category. That’s right, a whole category just for binding. The binding is a frame and really important, it is not something to just cover the raw edge. Because MQX is a machine quilting expo, about two thirds of the judging criteria are on the machine quilting. 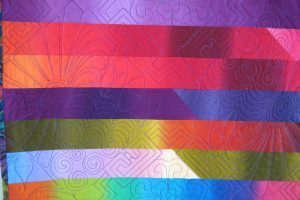 Choice of thread, how the quilting enhances the quilt piecing or quilt design, and tension are three of the seven “quilting” categories. Yes, a whole category just for tension. Judges look at this with a critical eye. They look at the front and the back of the quilt. Tension must be perfect to achieve a high score in this category. Why is tension a problem? The question is, why is tension the biggest learning curve for longarm quilters? It has to do with the variables each quilt project presents. The combination of fabrics, cottons, batiks, thread count, printing or dying method, the type of batting used, the backing fabric, thread, and even the weather are all factors. Even quilting with a computer guided systems throws another factor into the mix. Each plays a part in the overall equation and every quilt is a different combination of those factors. Because these factors are changing with each quilt, there is no one perfect tension setting. Quilters must understand what excellent tension looks like and become comfortable in adjusting the tension on every quilt. A longarm quilter should not be discouraged when presented with tension issues because they will occur. In fact, they should take it as an opportunity to become educated on tension and the techniques used with longarm machines to manage tension properly. This blog has addressed the issue of tension a number of times. Please use the links below for help to learn more about longarm tension. See these blogs for more information on tension. Yikes! 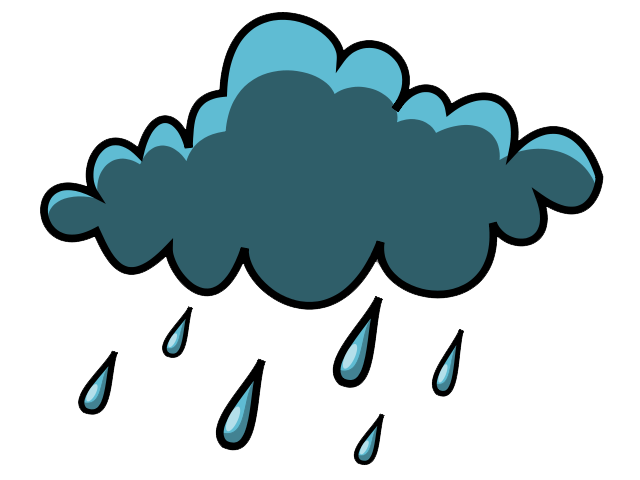 Terrible Tension – What Do I Do? Is Perfect Longarm Tension Possible? Taking in a customer quilt a few days ago, I was reminded once again why quilting for others is enjoyable. 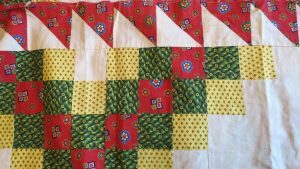 Certainly not everything about quilting for others is enjoyable, such as those wonky quilts or quilts with wavy borders. But, I do have the opportunity to quilt some really lovely quilts. Quilts I would never think of or have the time to make. Quilts made of fabrics that are over the top beautiful, fun, or even from another part of the world. The most recent quilt was made by the Mom of a student I had a number of years ago when I was teaching high school science. When she called the other day to make her appointment I never gave her name a second thought, that is, until just before she arrived. Then I began wondering if she was who I though she was. It was a pleasure to see Carol again, find out how the family was doing and where her son was today. As teachers we remember our students as they were as kids. It is often hard to picture these kids as grown up adults, off on their own, working, married and with children of their own. Carol’s quilt is interesting, made for her daughter-in-law with fabrics her daughter-in-law purchased when she was on a mission trip to Africa. Although we spent some time talking family, we did finally select an appropriate quilting pattern and thread to compliment the African fabrics. It will be fun quilting an all over African type pattern and leaving a no-sew zone around the elephant. The elephant needs custom quilting to emphasize its features. I enjoy working with my customers and prefer to have their input into pattern design and thread color rather than just have them tell me to do what I want. After all, it isn’t my quilt. They should see what they would like. Quilt made by Carol R.
Thinking back over customer quilts, there are several that stand out because of the interesting quilt design which gave me the opportunity to quilt using fun techniques like echos, unique borders, fun fills, and even hand guided feathers and fill techniques. Yes, this is all custom quilting. And yes, you must charge more for it because it takes more time. Abby’s quilt was made by a quilt club friend for her granddaughter. Marcia designed her own applique and did a lovely job making the quilt. Marcia picked out the wide border quilting pattern, butterflies, along with the thread. 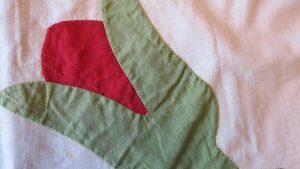 The butterfly border is just a whisper on the quilt so it doesn’t detract from the applique. The applique areas were lots of fun, echoing around each and filling in the background with fun fills like bubbles and clouds. Each applique area has a different background fill. “Abby” made by Marcia B. Another friend I have known for many years made an applique quilt for her granddaughter, too. This one, however, had very large applique flowers nearly 12″ across. Patty’s instructions were no quilting over the flowers. Again, echo around the flowers. But, because of the large size, they did need quilting just to keep the quilt layers stabilized. A spiral was quilted in the center of each with some detail in the petals, enough to hold the quilt together and add interest. The highly patterned fabrics in the border and center was quilted with an edge-to-edge pattern. 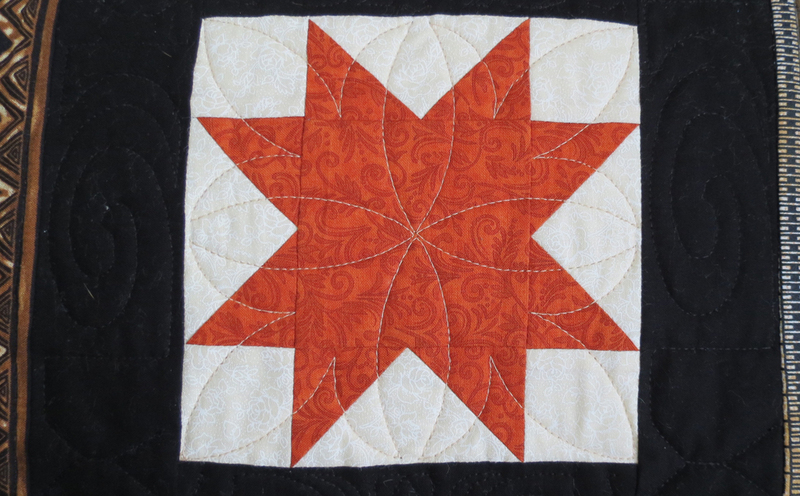 Some quilts are just way too much fun to quilt, like Cindy’s octagon quilt. This quilt was such a bright, cheerful quilt that she named it “Amusement.” It needed a lot of fun quilting. Planning the quilting for Amusement took quite a lot of time and several sketches of the blocks on my tablet using a sketching app before I finally decided on how to quilt the blocks and space between the blocks (sashing). Cindy’s favorite color is orange, however when I told her I had selected purple to quilt the blocks, she decided on purple thread for everything. Another more recent quilt, made by Norma, was a wall hanging. It is a Judy Niemeyer paper pieced pattern with very large leaves in the center. This quilt has a combination of batik fabrics that are interesting and fun to look at. The border fabric is especially interesting with bubble filled paisley and, I thought, needed a really fun border treatment. This quilting was a combination of both computer guided and hand guided quilting. Although Norma doesn’t like a lot of heavy quilting, or the quilting to be too prominent, she was very happy with the quilting choices. Quilt made by Norma S.
I am glad to have these interesting customer quilts come through my studio door. They give me the opportunity to be creative and try different techniques. It often takes time, sometimes days, to develop a vision for the quilting design I work up. Once I have a vision, I am ready to get started. And, depending on how much detail goes into the quilting, it may be several days, or more, before the quilt is finally finished. For example, I worked on “Amusement” for well over thirty hours, just quilting. Fortunately most of my customers piece their quilts very well which makes the job of quilting both easier and more enjoyable. I enjoy the quilting even more when the quilts are interesting, have beautiful or interesting combinations of fabrics, or are unique in some way. Although I can’t keep any of these beauties, I have enjoyed putting the finishing touches on them. 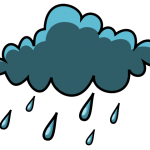 When we purchase a product or even consider a quilting class or workshop, we have an idea in our mind what it should cost and we would like to spend. Of course, we would always like to spend as little as possible. On the other hand, even when we pay little, we want high quality and value. 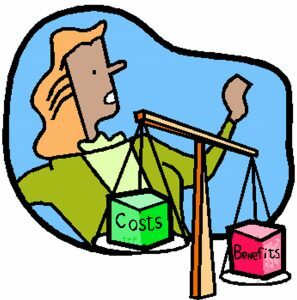 Why is it that sewing machines, embroidery machines, longarm machines, and even some classes and workshops cost so much? Are they really worth that much? Sewing machines have a very long history going back to 1846 with Elias Howe’s patent of the first practical sewing machine. These machines were revolutionary and a huge improvement over hand stitching. Can you imagine creating the wardrobe we enjoy today stitching all of those garments by hand? Or even hand stitching the long dresses worn in the 1800’s? 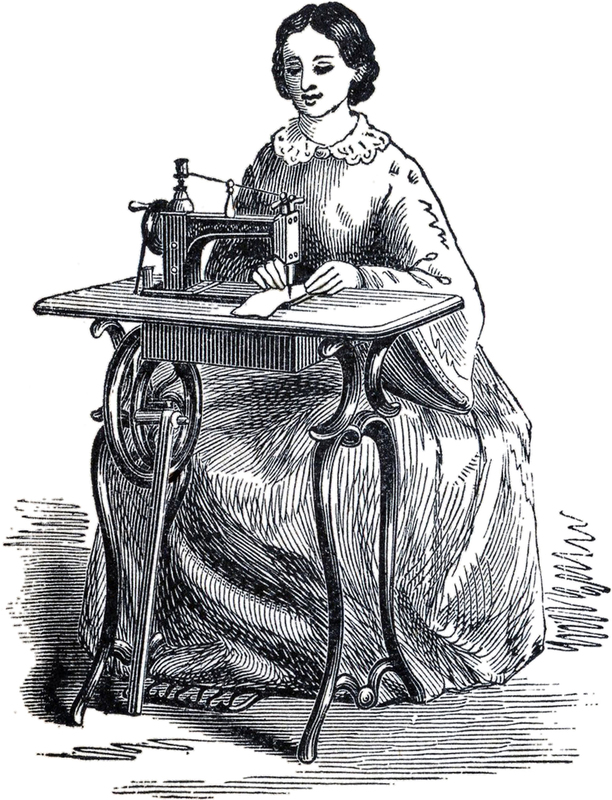 When sewing machines came out, women immediately could see their value. They were a huge time saver allowing them to be much more productive making more clothing, giving them more time to work on other necessary tasks,or even allowing time to enjoy craft sewing. Although the first machines were expensive at $300 ($10,000 in today’s money), Merritt Singer perfected the sewing machine and began selling them for $125 ($4,166 in today’s money). Singer offered the very first “buy now and make payments” ever was on any product. What a novel and savvy business idea so that women could benefit from the use of the sewing machine while paying for it, possibly by making things for others. Regardless of the cost of the sewing machine, it was worth the purchase because of the value it brought. Fast forward to today’s sewing machines. Quality sewing machines have many features that we enjoy, zig-zag stitching which offers many specialty and decorative stitches, needle down, scissors (we do love those! ), a longer sewing bed, and more. Could we do without those features? Of course, but do we want to do without them? NO, we love those features because they make our sewing more pleasurable, even easier and more productive. Sewing machine manufacturers have noticed and designed machines with features we WANT. unit? These machines are not cheap. 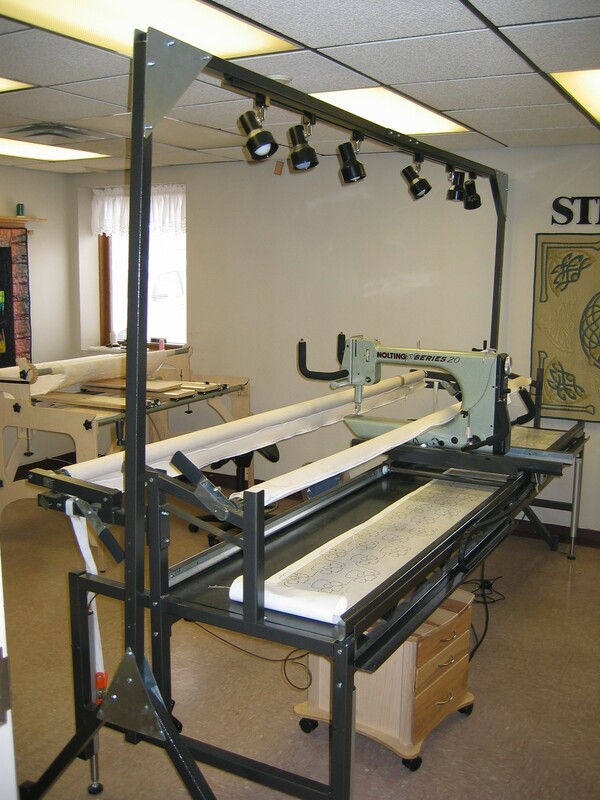 In fact, many cost more than most mid-range longarm systems, including the Nolting longarm CLX model I sell. At quilt shows prospects are often shocked to find out that they could actually purchase a full longarm system (machine and frame) for what they paid for their embroidery sewing machine. Are these machines and systems just expensive, high mark up, high dollar items, or is there more to the story? Every product on the market, including sewing machines, embroidery machines, and longarm and computer guided systems have evolved from their simpler and less expensive counterpart, to what we see for sale today. Over the years there has been a lot of changes, improvements, additions of features, and incorporation of electronic technology replacing mechanical in the product. The total product costs include design and development, purchasing the raw materials, manufacturing costs, labor, overhead, transportation, and a little profit for manufacturer and seller. This all add up. The question is, do we find value and benefit in these improvements? If the answer is “yes” and we want those improvements, then we must pay the price to have them. In fact, to be truthful, our machines today are a value. Based on pricing in the 1800’s converted to today’s dollars, many of these machines would cost between $30,000 and $40,000 for the basics! Now, what about workshops and classes? 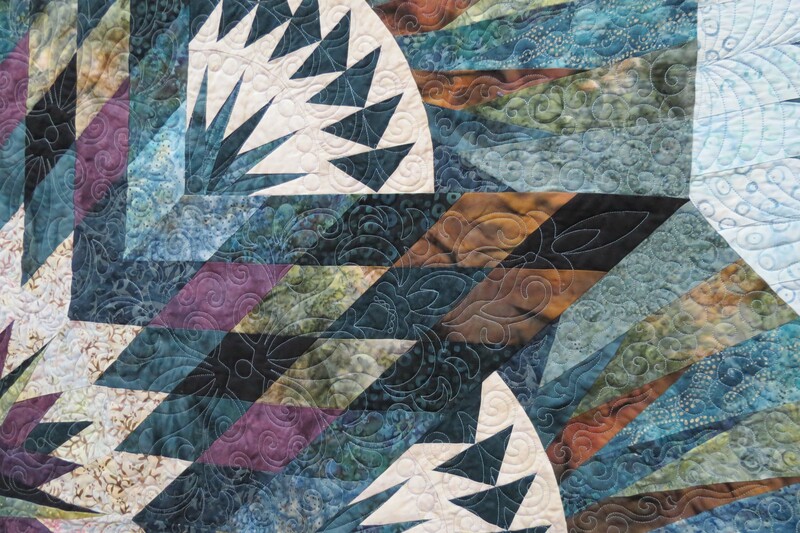 A half day longarm hands-on class at a national quilt show will cost $200 or more. Other classes will cost from $50 to $125. Why so expensive? (1) The show must cover its costs, venue, overhead, and profit. (2) The teacher has expenses that include travel and lodging at the show and he/she expects to earn some money, not just cover expenses. In fact, for some of these teachers, this is their only income, while others teach in addition to quilting, digitizing, or making show quilts. When you take any class or workshop, what are you really paying for? Experience and knowledge. That teacher has spent a lot of time, often many years, acquiring knowledge, practicing the skills, and developing techniques that they are willing to share with you. You are actually buying years of experience. Perhaps with time, a lot of time, you might stumble onto the techniques, and with a lot of practice get sort of good. But, by taking a class and learning up front what works well, you can shave off years of trial and error and frustration. Years ago I owned a carpet cleaning business. Because my background is in education, naturally I felt learning everything I could about my business would be helpful. My husband and I took 25 certification courses which were costly, included travel, often long distances to where they were offered, but in the end were the equivalent of a college education. Because of what we learned, I built a high end, well respected business in our area. What was more beneficial to my business than even the knowledge and techniques we learned on cleaning and restoration was the value of the experiences shared by our instructors. We learned so much from our instructors, not only knowledge, but the valuable information they shared on their bad and often costly mistakes. These were experiences we definitely did not want to repeat. As a result, we were much smarter and more profitable in business early on because we didn’t make those same mistakes ourselves. The same is true of the value of classes and workshops for quilters, regardless of the class or workshop. It may be a class teaching a different technique, hands-on class, computer guided workshop, longarm class, or even an introductory how to use it class. There is something to be gained from every workshop or class. When you pay for that class or workshop, you are buying the years of experience of that teacher. That knowledge and experience took time, often a long time and expense for them to acquire, and it can be valuable to you. So, how do you justify that expense? There is value and benefit in everything we learn. I have always felt that no education is ever wasted. It may not have immediate benefit, but at some point there is an “aha-ha.” moment and you remember something you learned. When you think about your investment in your sewing “tools,” your sewing or embroidery machine, your longarm, or computer guided system, the cost of the workshop or class is a relatively small investment in its proper use, techniques that could save time or frustrations, or techniques that could expand your skill, capabilities, creativity and enjoyment. If you own a business, continuing education can be written off as an expense. And, regardless of whether you own a business or not, the value of what you learn, may in a very short time, have its own rewards. A new skill or technique correctly learned will offer its own rewards, and for a business owner, it may very shortly return its value with increased efficiency or a new “service” to offer the customer. It costs WHAT!!! 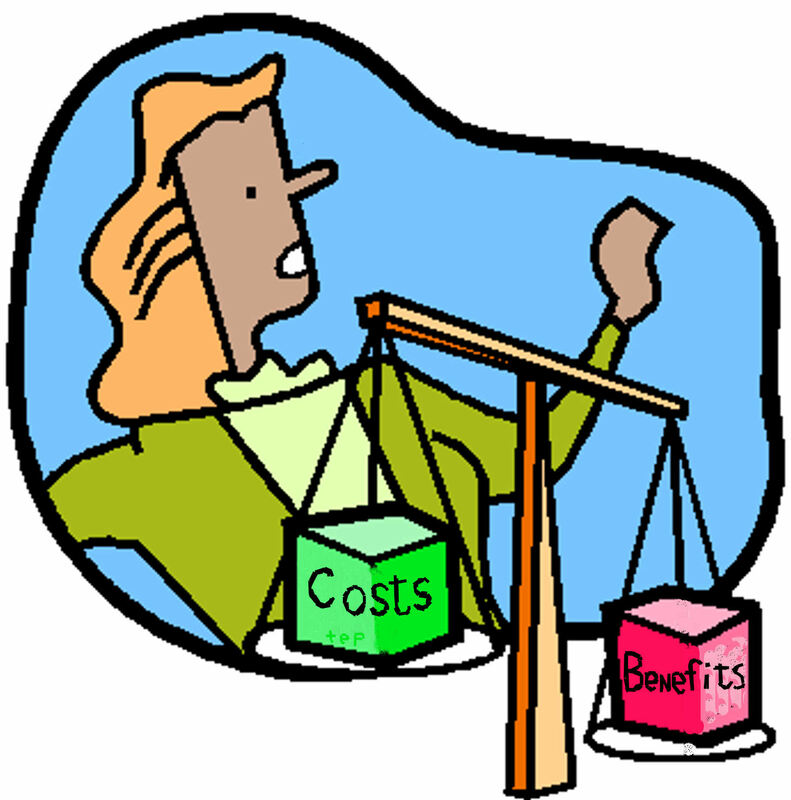 Don’t count the cost, look at and count the benefits and value. Rochester, NY, Genesee Valley Quilt Club, invited Susan Rooney as the guest speaker. Susan is one very talented local gal. Not only was her presentation very informative, but I found it interesting and enlightening, as well. Display illustrating textile design process. designs. Fabric is designed not just as a stand alone fabric, but often with companion designs that can be used in a similar colorway to work together in a quilt or other project. Other colorways of the same designs are also usually available. After creating the design, it is first printed on special large sheets of paper, sent to the textile manufacturer, printed on fabric, sent back to the fabric designer to check for color quality, design printing, and more. This may even happen more than one time. Did you know that there can only be 18 colors on silk screened fabric (most of quilting fabric today is silk screened)? Most fabrics will have a row of color dots next to one of the salvages. These are the colors that were used to print that fabric. And certain colors do not work well next to each other because they will look like mud. A lot of thought must go into the design of our quilting fabrics which include the design itself, often a compilation of a number of smaller elements, the size and scale of the design, the space around these elements, the repeat of the pattern, how the colors will print out, the colors used on the fabric, and more. It is a lot of work. When we see the fabric in the quilt shop, all we are really looking at is the pattern and color and how it will look in our project, never thinking about how much time and effort went into the design process itself. more of in the future, digital printing. This type of design offers more flexibility and freedom of both the design with the option of much larger designs that do not repeat many times across the width of the fabric and an unlimited color pallet. Some companies offer digital printing to anyone, such as Spoonflower printing on demand and a local Rochester business, Red-Dog Enterprise. A number of the major textile manufacturers are even starting to print some fabrics with this method. When you look at the beautiful quilting fabrics available today, there is such variety in design, thousands of different colors and color combinations, and inspiration everywhere. Susan has taken her creativity beyond just designing the fabrics into designing patterns. Many of her fabrics are very colorful, some whimsical, others geometric or floral. Susan designs patterns to promote these fabrics, and even designs applique and embroidery designs to be used with her fabrics and patterns. Her patterns include purses, bags, table toppers, wall hangings, and more. I purchased one of her bag patterns, Tidal Wave Bag, 15″ x 15″, that has a bag base and reversible bag cover. “This Holds It All! Tablet, books, folders and magazines” with two large pockets inside and a cell phone pocket. It will be large enough to carry things to a club meeting, or use when we travel. I have never made many bags, but this one looks like a lot of fun and will be very useful. Locally Susan was asked to design the Western New York Row by Row patterns in 2017. Being creative again, she changed the row concept to a block concept for a more cohesive final design. In fact the blocks could even be joined in more than one configuration! At the meeting presentation that day, Susan told us she would rather design the fabric and patterns than make quilts. Aren’t we luck we have over the top creative people like her to keep us going with delightful fabrics and projects to use them? Now. . . . . the hard decision . . . which fabrics will I choose for that bag? Whether you are free motion quilting at your home machine or at your longarm, the same tips apply. Looking at the whole quilt can be intimidating and overwhelming. It is large, there are many spaces and blocks, and may even have sashing and borders. Avoid becoming overwhelmed and intimidated by dissecting the whole into small chunks. Develop a plan looking at the smaller chunks, perhaps just the blocks, then expand outward into the sashing. Patterns may be stand alone in each space, or you might think out of the box and integrate the block patterns out into the sashing for a different look and secondary pattern. Think about breaking up the parts within a block with different patterns and fills. For example, one pattern in star points, another fill type in the corners of the block. 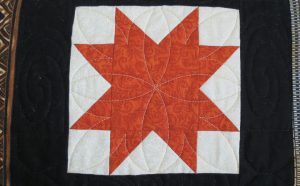 In the quilt above, Merilee placed a larger design within the ray of this star point. Smaller designs were across the flying geese and in other areas. A mixture of large scale and smaller scale designs adds interest to the overall appeal of this quilt. Looking at a quilts at shows, quilts that stand out have elements that set them apart. 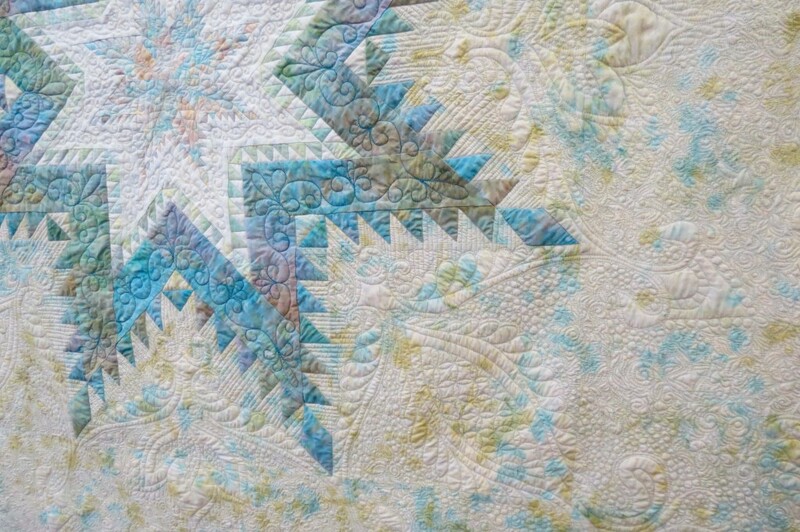 Texture adds dimension and depth to the quilting. Build a “catalog” of a few texture type patterns to use in spaces, such as borders, sashings and blocks. Don’t be afraid to mix and match designs for added interest. For example, use patterns that are flowing and organic along with patterns that are more defined and geometric in shape. The contrast between these types of patterns adds interest. Getting good at free motion quilting boils down to practice, practice, practice. Developing muscle memory can only happen when you practice. But, who wants to practice on the “special” quilt? The solution is to do small projects, such as table runners, baby quilts, or to volunteer to quilt charity quilts. These are not large projects, won’t take a lot of time, and offer the opportunity to try many different techniques on a smaller scale (fewer repeats). Try a variety of patterns, add texture for interest, get creative. 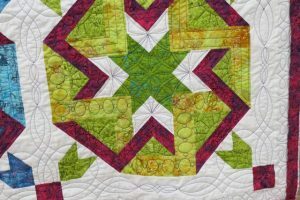 Try different thread colors and see how that affects the overall look and appeal of the quilting. Experiment without worrying about the outcome. You will learn a lot about color, contrast, and quilting density, along with getting plenty of practice. Best of all, these projects won’t take a long time to quilt. Keys for successful free motion quilting are to relax, stop worrying, and to let your brain take over. Create a sample of different designs. 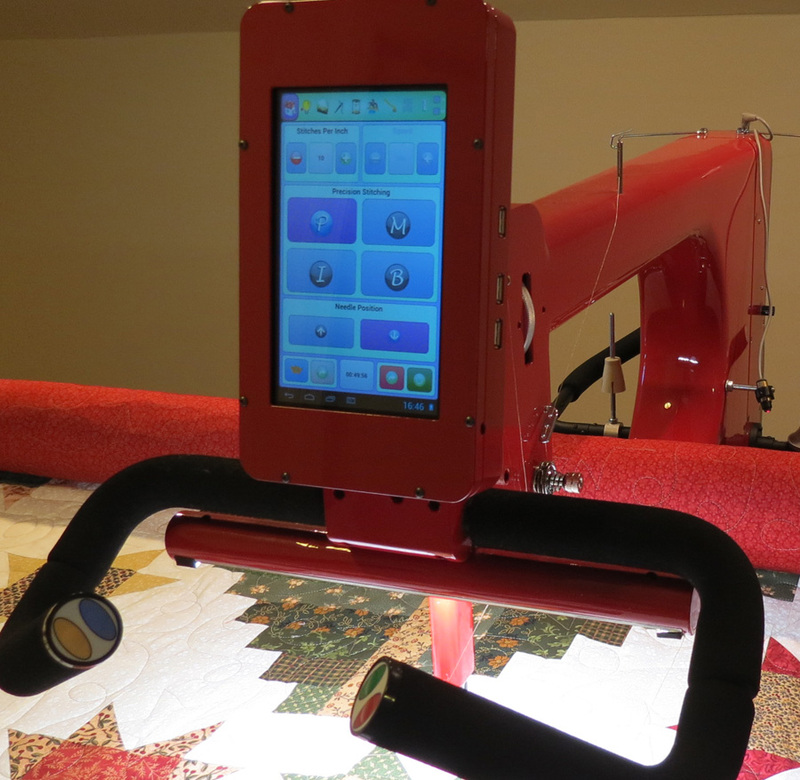 Load a practice quilt on the longarm, or baste a quilt sandwich to use at the home machine. Divide the space up into 6″ x 6″ spaces and fill each space with a different design. Leah Day has many, many design ideas for this. 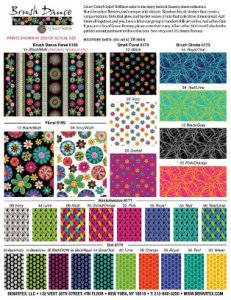 Another great resource for quilting ideas is Pintress. Find what works for you and what you like to quilt. Save this sample to refer to. Don’t ever feel that your quilting needs to look like another quilter’s. Like hand writing, every quilter has their personal style. Develop your own style. Finally, you will be the most critical observer. Others will look at your quilting and love what you have done. Load several table runners horizontally next to each other on one backing and batting. It is a time saver and offers many free motion quilting opportunities. On a recent trip to Colorado we visited the Rocky Mountain Quilt Museum. The exhibit was very well done and quite enjoyable. Our visit there, however, turned into a bit of an adventure when I discovered they had vintage quilt tops for sale. The museum had recently acquired a number of very nice tops, all donated from various sources. 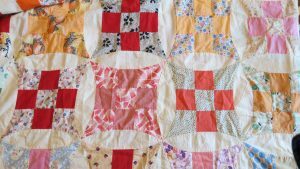 Occasionally after someone passes, the family finds quilts stored in dressers, closets, and trunks. Because the family has no interest in these old quilts and doesn’t have anyone to give them to, they donate them to the museum. 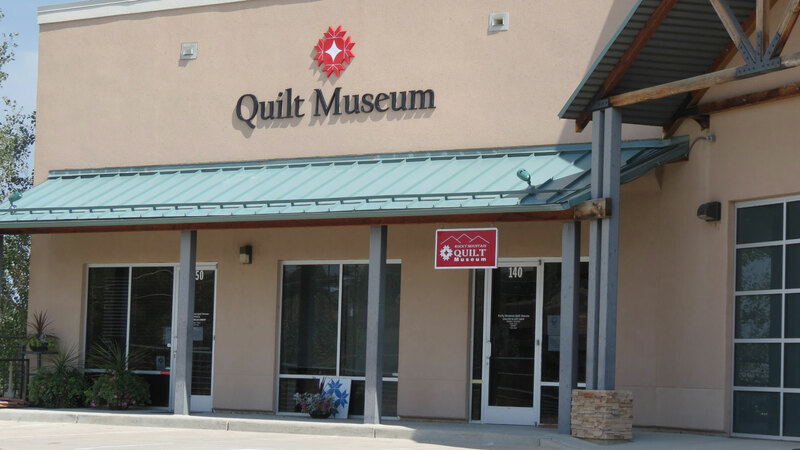 I am sure some very fine examples may be saved by the museum, but usually the quilts and tops are sold to help support the mission of the museum. I was super excited to see fine vintage quilt tops for sale. Here in New York, a few quilt tops become available, old quilts are sometimes found, but for me to see a large stack of old, vintage quilt tops was quite the “find.” I looked through the pile, then was directed to another area of the museum store where there were even more quilt tops. Tops ranged in age from the 1860’s through the 1970’s. 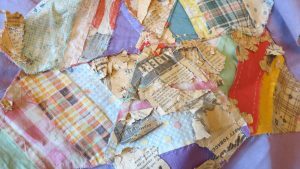 There were a number of 1930’s tops, feed sack tops, many different quilt patterns, applique quilts, many hand pieced, some pieced well, some not so well. It was fun to see so many old quilts and to wonder about their history. As I thought about these quilts, especially the 1860’s to 1880’s quilts, I wondered if they traveled to Colorado in a wagon. 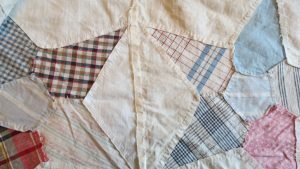 For the “newer” quilts from the 1900’s through the 1930’s, I wondered if they were made by pioneers in Colorado, or whether, they made the trip from some other place as people moved and resettled in Colorado. Life in the early days of Colorado, the 1800’s even into the 1930’s was tough. Women often lived in isolated and remote areas in the mountains, on farms, some lived in mining camps. This was the old “west.” Some of the tops looked like they were made just for bed coverings, yet others showed impeccable workmanship with tiny running stitches in the seams and excellent applique hand stitched with tiny blind stitches. While at the museum I bought a book titled, “The Quilt That Walked to Golden,” written by Sandra Dallas with Nanette Simonds. (ISBN 13:978-1-9333081-7-3) This excellent text is written from diary excerpts of many pioneer women and details “women and quilts in the mountain west from the overland trail to contemporary Colorado.” I have found this book informative and very insightful in telling the story of these hardy and resourceful women, their lives, struggles, their heartwarming stories, and the hard realities of life on the frontier. The title of the book is rather interesting. The author points out that when pioneer women were preparing to leave the “comforts” of civilization in the East and travel by wagon to the west, they wanted to take some of the niceties they owned. Dishes were often packed in flour and sugar barrels. Dressers may have started the journey on the wagon, but were often discarded as the wagons became harder to pull across the high prairie. And, of course, they wanted to take their best dresses. Husbands, on the other hand, only thought about tools needed to carve out a new home, farm, business, or mine stake, taking enough quilts to keep warm, enough food, and other life-saving items. In an effort to compromise, women often put on and wore all of the garments they could manage, including several petticoats and multiple dresses. In spite of traveling with their wagon representing their new start in life, most of the settlers walked to the west. As a result, their garments were not in very good shape when they arrived. Not wanting to waste anything, the women cut up their dresses and made into quits. Thus, the “quilt” was really a dress worn on the long, hard walk to Golden. I originally left the museum that day with four quilt top finds. I chose each of the quilts because of something unique about it. All were in excellent condition, hand pieced except one with very tiny machine stitching and hand applique. 1860-1880 Applique. 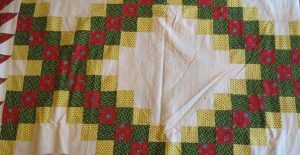 Although with a few little stains, the fabrics in this quilt are in excellent condition and the fabric colors true and not faded. It is large enough for a twin bed. This applique pattern is not one that is often seen, it has excellent construction and almost new fabric condition. I plan to longarm quilt this top with designs that might have been used in the period. It will make a very nice display piece. 1930’s String Quilt, Star Pattern. I selected this quilt for several reasons, the fact that it was string pieced by hand, the background fabric is purple, and that the star points cut from the string pieced fabrics are all hand stitched together. The bonus with this quilt is that there is even some of the newspaper still on the string pieces star points. 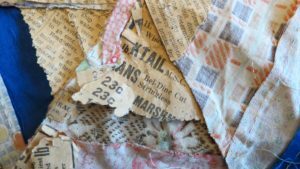 A friend who is a quilt appraiser suggested keeping this top in an archival box, taking photos of the newspaper and trying to find out the origin of the newspaper. I plan to do this as I think it will add to the interest of the top. I would love to quilt it, but will keep it as is because of the historical nature. Vintage 5-point Star – Feed Sack Material. This top caught my attention because of its construction. The white background feed sack fabrics were stitched together as squares by machine. There are a couple of places you can see the printing on the material. The machine stitching is excellent and with a very short stitch length. The star points and center pentagon are all appliqued to the top. Then, the fabric was cut out behind the stars. There are a few water stains, but I think these will wash away. The fabrics are very strong woven, the stitching, including the hand applique with very tiny stitches is also very strong. I plan to longarm quilt this twin size with appropriate period designs. 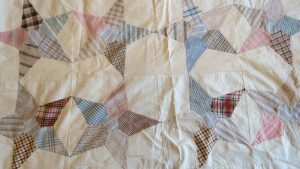 Vintage 1930’s Feed Sack – 5-Point Star Pattern. Stars Appliqued. 1930’s “Enhanced” or “Improved” Nine-patch. Looking at this top I am reminded of both a nine-patch and also the double wedding ring because of the melon shaped pieces. Although not pieced as well as the others because it has long running stitches in the seams and the points do not come together very well in many places, the top is an eclectic mix of a wide range of 1930’s fabrics. It is indicative of the thirties with both bold and soft colors and the many, many prints that were available during this time period. This large top will certainly cover a double or larger bed. I will be quilting this on the longarm, too, using designs that would have been used in the thirties. After getting to the car to leave the museum, I reflected on my purchases and decided to go back into the museum and purchase one more quilt that I had seen. I did not want to get back to my New York home and regret that I had not purchased this one. This quilt was quite a lot more expensive than any of the others, but it was unusual. Very large, about king size, the red, green, and yellow prints on white background was a triple Irish chain. The quilt is beautifully pieced with tiny hand stitched piecing, precisely cut patches, is square, and has an unusual half square triangle border around the whole quilt. 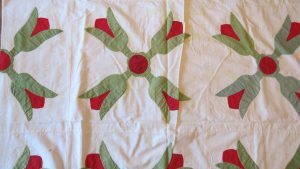 It, like the others, is in excellent condition; it has a few little water stains, but has fabric that can take the quilting, the washing, and could even be used. Like the others, I will use patterns to enhance the triple Irish chain pattern. When we traveled to Colorado, I never expected to come home with these treasures. It goes to show that you never know what you will find. But, you must always be open to taking advantage of an opportunity as you many never have an opportunity like that again. Fortunately my husband also saw this as a unique opportunity and encouraged me to take advantage of it, too. Before we could fly home from Colorado, though, we had to go and purchase another suitcase just to carry our quilt top treasures home. And, getting back home, what fun there has been for me to share with others this wonderful adventure and the quilt finds from Golden (Colorado).